Free entry - Bring a mat! 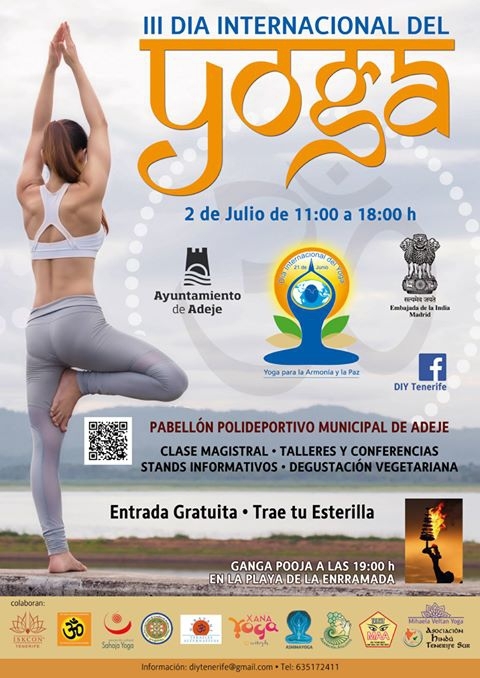 Adeje are celebrating International Yoga Day with a day long event in their sports hall where visitors will be able to try the masterclass, workshops, get info from the stalls and sample veggie food. Entrance is free, you just need to bring a mat. The doors open at 11am util 6pm on July 2nd. Afterwards at 7pm there will be a perforamnce by Ganga Pooja on the Enrramada beach.